Ten x 1kg dry powder fire extinguishers (hence ten extinguishers in total). Suitable for use in vehicles, cars, taxi's, caravans, offices and home. 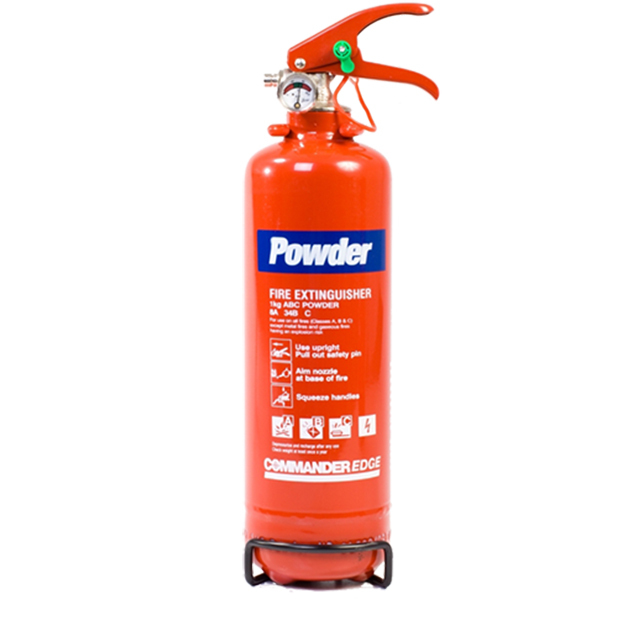 These extinguishers are refillable and contain 1kg of ABC powder (see product specs below). ABC powder is a multi purpose extinguishing medium with excellent knock-down properties. The 1kg model includes a transport bracket making it ideal for vehicle applications, as well as for use within the home or office. All the fire extinguishers we distribute are the 'commander' brand and are fully CE marked, manufactured to BS EN3 standards & have been fire tested by Lloyds Register.